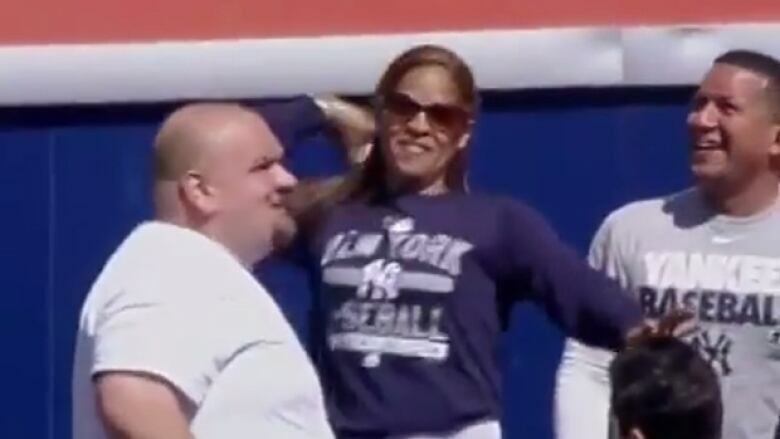 A New York Yankees fan's attempt to toss a Toronto home run ball back on Opening Day resulted in a fellow spectator getting hit. There's an old tradition at Wrigley Field in Chicago that says if the away team hits a home run, the fan in the outfield stands who catches it is obligated to throw that ball back onto the field. No one will be in the Wrigley bleachers until May due to construction, but the "bleacher creatures" at Yankee Stadium decided to keep the tradition alive against the Toronto Blue Jays on Opening Day. They had their chance after an Edwin Encarnacion home run. If you're scoring at home, you can mark that one as a throwing error on the Yankees fan.